Two of our slowest-moving monsters go head to head tonight. This might very well be the longest battle ever. One may never catch the other. The other may never even get started. Fists certainly won't fly. But there sure will be a lot of mumbling. 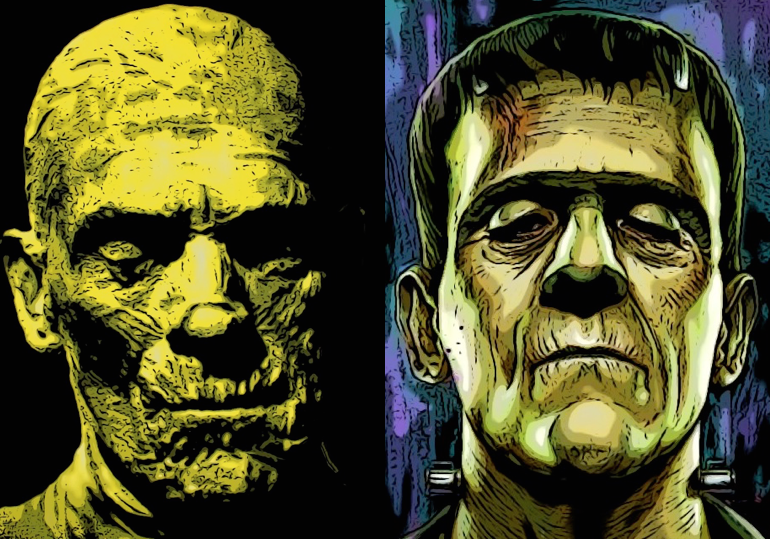 Which monster do you pick in a fight? Which do you pick in a battle of cool? 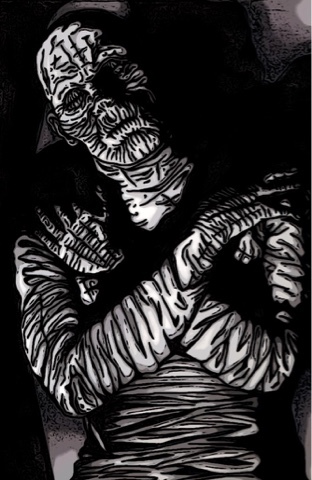 Mummy or Frankenstein? 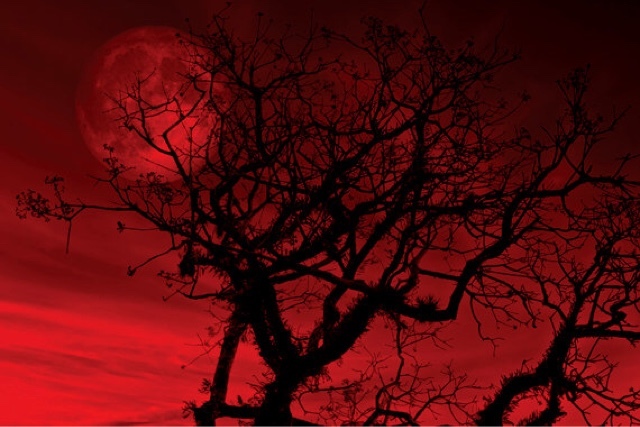 Tonight's full moon is a supermoon, and werewolves everywhere have been enjoying the extra power they possess as a result. A supermoon is a moon that appears larger in size from the Earth's perspective because the moon is closer to the Earth in its elliptical orbit than normal. Werewolves get an extra boost of power from the moon's closer proximity. Reports of amped-up werewolf terror have been coming in from all over. What a grand time the werewolf community must be having. Transyl-vein-ia’s Presidential race is heating up, and candidates are literally fighting each other tooth, nail and machete as they head into next week’s debates. Creatures from all walks and crawls of life and non-life are vying for the coveted President’s throne in 2016. “I’d say it’s a pretty close race and anyone or anything can win at this point,” said Giant Ant, an enormous insect covering the election. Ant is accustomed to complex social structures, as he’s covered many ant colony queen elections, and he said this race, thus far, is the hairiest (and scariest) he's seen. From a werewolf and a vampire, a monster created in a lab and a slasher psycho, to a sea creature and a few goblins, this race, Ant said, comes with a wide range of viewpoints. Count Dracula wants more blood banks. He claims it’s a must and said the entire vampire community supports him completely. Sea Creature is out to solve the pollution shortage in our water, which he says is only getting worse. Jason, the hockey mask-wearing slasher psycho, has been very vocal about the need for more teens in the area. He suggested building additional campgrounds in the Transyl-vein-ia Creek area and busing in kids on a monthly basis. Man things all over the monster world have criticized our current leader, the Electrified Creature, for abusing energy for his own good. Frankenstein’s Monster said he’d get it under control if he was president and he’d give more power to the common creature. Female monsters of the night are pushing for Elvira to run, but she’s yet to release a statement in response. Sources said she might make a surprise announcement during next week’s debate. Candidates will certainly have something to say about the issues so close to her literally bleeding heart. Other topics bound to come up during next week's discussion include the problems we face with humans crossing over from their dimension to ours. 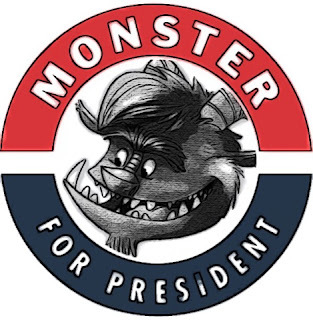 Of the goblins to take part in next week’s debate, Goblin P. Monster is running on a strong platform. He says he wants do away with President Electrified Creature’s healthcare program. The first in a series of debates begins at midnight on Tues., Aug. 2. 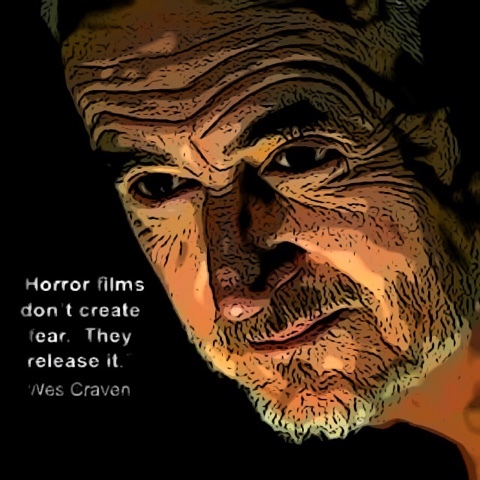 Catch all the gory action by tuning into CMN. The rest of the debate schedule will be posted on CMN’s spiderweb site following next week's presentation. A nice evil family is having trouble adjusting to their new neighborhood on Mayfield Place in the suburban town of Hinkley Hills, Nowhere, USA. It seems the family’s neighbors aren’t into the usual wicked activities most monsters are accustomed to. It’s only been a few weeks and trouble is brewing. Many residents in the area have gone to the city to see what can be done about getting rid of the monster family altogether. According to the Hinkley Hills City Clerk, the city has no ordinance against evil, as long as residents conduct that evil in the confines of their own home, which the monster family has been doing in their basement and backyard since they moved into their place earlier this month. The people, however, will have their day in the council chambers. Next Thursday, they will take the issue to the Hinkley Hills City Council in hopes of getting legislation against the monster family’s everyday activities that seem to be so offensive. As of now, the item will be heard right after a discussion regarding the controversial citywide slurry seal project. Most people want their street done first. Expect large, angry mobs. King Rut the mummy became angry last night when, during breakfast in the monster commissary at the Transyl-vein-ia Institute of Monsters, his fellow creatures of the night began ridiculing him for being slow and not very scary at all, which then led to them throwing banana peels, half-eaten cupcakes and yogurt at him. Rut said he’d “get them” as he wiped blueberry Yoplait off his bandages, and then he spent the next four to six minutes trying to get up out of his seat to make good on his promise. While monsters filed out of the commissary to go to work, Rut shouted at them to wait. He hadn’t even left his table when he claimed revenge would be his. Unfortunately, this story is unfolding at such a slow pace that there's nothing further to report as of yet . . .